It took a horrible nuclear deal to get into this mess and it will take the same horrible nuclear deal to get out. When Prime Minister Benjamin Netanyahu arrives in Washington to meet with U.S. President Donald Trump, they will already share a major point of agreement. They both appear to have the view that the nuclear deal with Iran is thoroughly flawed. Rather than preventing Iran from acquiring nuclear weapons, the deal ensures it. The agreement, known as the Joint Comprehensive Plan of Action (JCPOA), only deals with the Islamic Republic's nuclear file and there are multiple areas of grave concern regarding the regime's behavior that must be addressed. Both leaders seem to be of the same mind in sharing a core belief that Iran will continue to cheat on the margins of the deal while pursuing its nefarious regional agenda. If that is what they believe, then the objective should be to get rid of the deal while preserving maximum leverage to affect the regime's behavior and curtail its nuclear program. Iran's behavior – not its nuclear program – needs to become the focus. At first glance, it would appear that the best method to achieve that aim is to either tear up or renegotiate the agreement, however, that's not the case. Paradoxically, the best way to be rid of the deal is to stick to it and let it collapse under its own weight – and that's most likely to happen when intense pressure is applied in response to Iran's non-nuclear-related transgressions outside of the agreement. The damaged deal should not be renegotiated or repaired. Humpty Dumpty has already fallen and needs a broom and dustpan, not glue and duct tape. The key is for the JCPOA to be undone by Iran, not by America or its allies. That means the best strategy is to keep the deal as it currently stands and vigorously enforce all of its provisions, rather than letting Iran slide as President Barack Obama and Secretary of State John Kerry did. Instead of playing nice, make sure Iran follows the rules and remains wedded to the deal. Don't hope for a change in the regime's behavior; expect that there won't be one. Most importantly, take advantage of the fact that Obama and Kerry agreed to Iran's demand that the agreement only deal with its nuclear program, while not addressing the other distressful aspects of the regime's behavior, such as its abuse of human rights, support for terrorism and burgeoning ballistic missile program. The Trump administration should turn the deal's inherent deficiencies into a strategic advantage and push back both within the bounds of the agreement and outside them. Given the multilateral context in which the deal was negotiated, multiple tools of American statecraft will be necessary to ensure the strategy's success. To that end, the U.S. should leave no stone unturned in building an international consensus. President Trump could explain that while he believes the deal is weak, he will respect its contours because as Secretary of Defense James Mattis said, "When America gives her word, we have to live up to it and work with our allies." In return, America and its allies must come to an understanding that any breach of the deal will be met with specific penalties agreed to in advance. 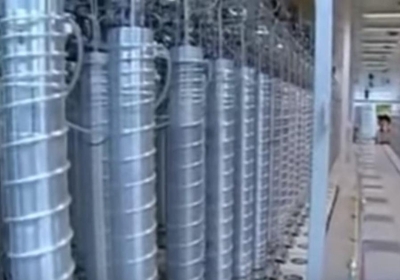 Iran has already been cheating incrementally on the nuclear side, but not egregiously. There should be no tolerance for even the smallest infraction. At the very least, Iran will be put on further notice, as National Security Adviser Michael Flynn recently warned. The bulk of American pressure should be brought to bear on Iran's non-nuclear-related activities – that is, Iran's behavior outside the bounds of the JCPOA. After all, the nuclear agreement should not stand in the way of a vigorous response to its activities not covered by the deal. And there's no shortage of Iranian provocations to push back against. A multinational effort remains the preferred approach, however, should the Trump administration find Russia, China, and others unwilling to cooperate, it can make progress with those that are willing. Those options include incrementally increasing sanctions against the Islamic Revolutionary Guard Corps (IRGC) and its external terrorist wing, the Quds Force – an initial step the Trump administration recently took. The IRGC is Iran's economic, security, military and political powerhouse. The more individuals and organizations that are designated as terrorist entities, the less effective they'll be in a range of illicit activities. Some can be accomplished through executive action while others require Congress to act. The House and Senate have shown their eagerness to apply pressure, with many Democrats open to new sanctions legislation as well. Another option is emboldening the Financial Action Task Force (FATF), the global standard-setting body for anti-money laundering and combating the financing of terrorism. Iran's illicit financing is even more toxic than its nuclear portfolio, so a forward-leaning approach will allow the U.S. to leverage international financial institutions, even if the U.S. has difficulty leveraging Russia or China. The point is that even a unilateral American push can result in multilateral pressure. Throughout the cycle of Iranian infractions and Western responses, Team Trump should continuously reiterate that it will not tolerate a nuclear-armed Iran. Friends, foes and those in between should be convinced that it is in their interest to work with the U.S. because at the end of the day, when those provisional "sunsets" in the JCPOA arrive, the US will act militarily if that is what's required. Make no mistake: along the way Iran will seek to isolate America in the court of world opinion, arguing the U.S. is violating the JCPOA and backing away from its commitments. That is why the Trump administration will have to work diligently to demonstrate that it is sticking to the deal but pushing back against non-nuclear provocations, which they chose not to address when cooking up the amorphous agreement. Convincing America's allies of this reality should be diplomatic priority number one. Secretary of State Rex Tillerson will have his work cut out for him but the U.S. can win in the global court of opinion if he lays out the ground rules judiciously. While many in Washington argue that renegotiating the agreement is the best option, Iran will have no incentive to finalize a new deal, although it'll be further empowered by the process itself. Iran already received what it wanted and even broaching the subject will be seen as the U.S. backtracking. Besides, in the final analysis, it is fundamentally not in the U.S. interest – and runs counter to American values – to offer that which the regime seeks. Moreover, renegotiating the terms still concedes upfront Iran's right to enrich uranium – the original sin of the original deal. That means years could potentially be wasted talking in circles, without applying financial and other pressure, only to arrive at a similar deal, with the current lax provisions vanishing like the sunset clauses within the agreement. The nuclear deal was a broken structure the moment it was agreed to and codified in UN Security Council Resolution 2231. There is no Mulligan. The paradox remains: it took a horrible nuclear deal to get into this mess and it will take the same horrible nuclear deal to get out. America's new leverage will come from its return to and strengthening of the system of alliances Obama turned away from. It comes from a president realizing that his nation's power is an indispensable force for good, rather than an unnecessary burden to be held in check or withdrawn. By leading its allies, the U.S. can make sure the regime in Tehran finally feels pressure instead of receiving participation trophies and pallets of cash. Used properly, an invigorated diplomatic toolbox with increased leverage could refine Iran's behavior in the short term and provide the needed space to consider further options in the future. Of course, it would be diplomatic malfeasance to let the world know that the goal is to scuttle the deal by sticking to it. So please burn after reading.